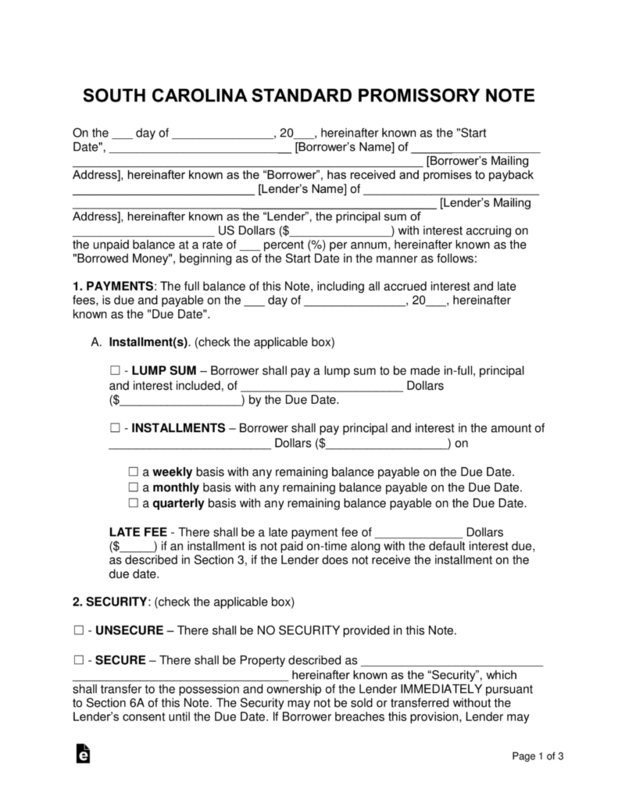 The South Carolina promissory note templates are documents completed in junction by both a lender and a borrower (of a monetary balance). The documents establish the basics for the transaction, such as dictating the full amount being loaned, the interest rates and when they enter into effect, and how the borrower will pay back the balance to the lender. 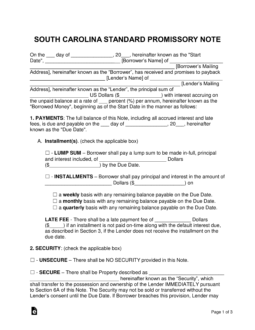 Secured Promissory Note – Includes a section where security is dictated. The item in security is given to the lender if the borrower cannot recover from default to help cover the cost of the unpaid balance. The item put into security should be of similar value to that of the loaned balance. Unsecured Promissory Note – Does not include security, adding financial risk to the transaction for the lender. The lender should screen potential borrowers to ensure they have worthy credit.